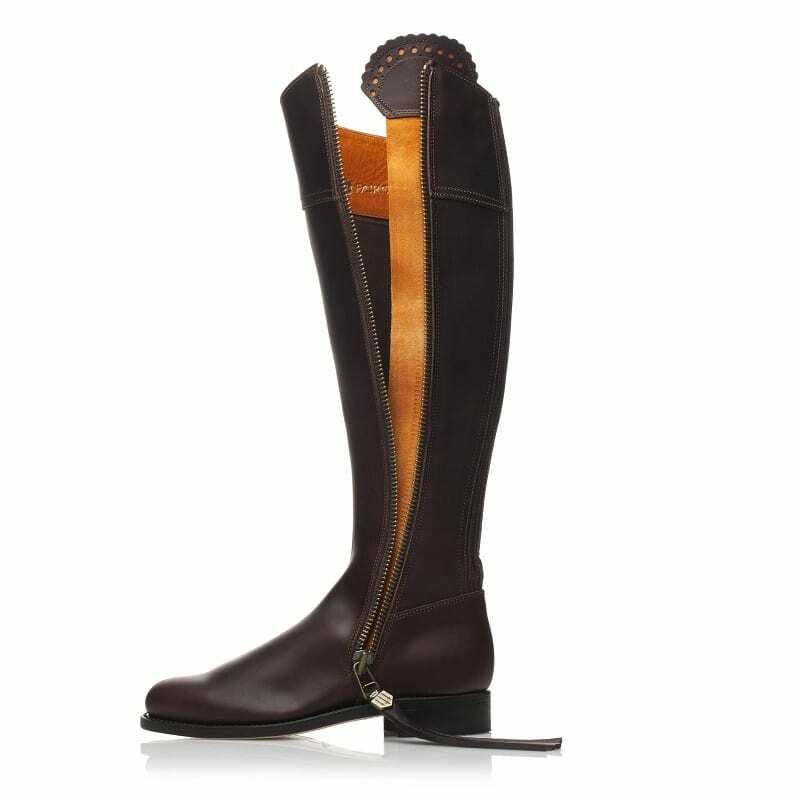 Expanding on the Regina range, finished with the highest quality of Spanish Supple Leather to create the ultimate luxury in ladies long boots. 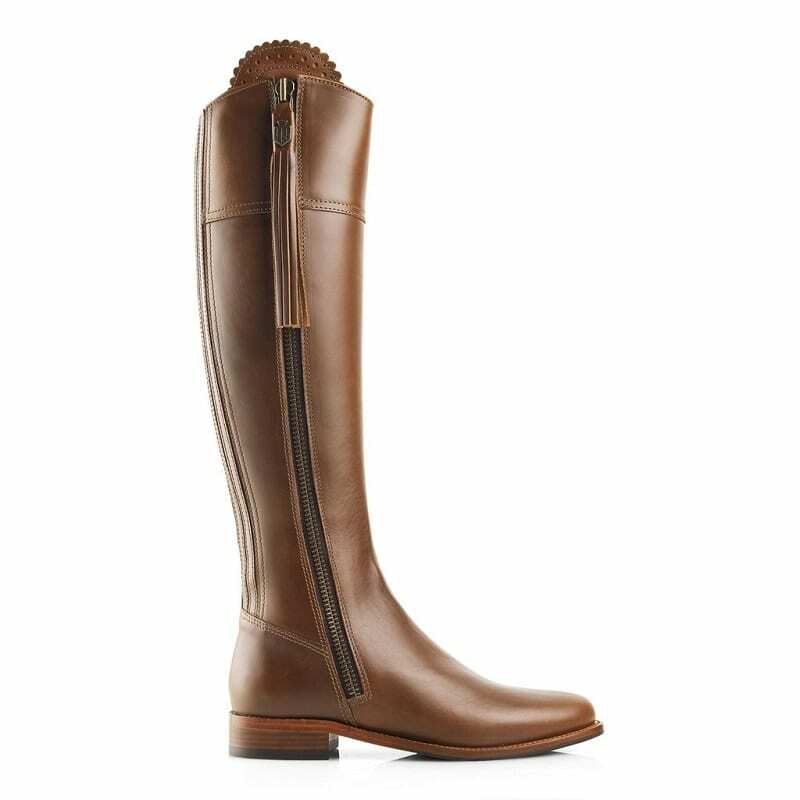 The Flat Regina leather boots in Mahogany Brown and Tan from Fairfax and Favor are the latest addition to our wide range of boots in store and are set to be a popular choice. The leather flat Regina boot is extremely comfortable and crafted from supple leather. 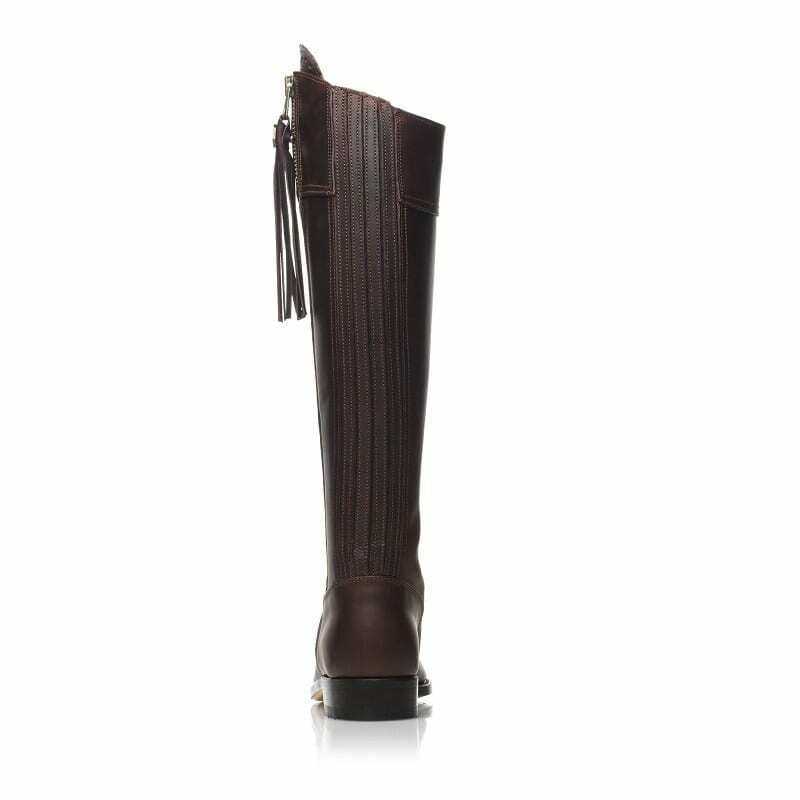 Similar to the suede boots the mahogany leather flat Regina has a stretch panel at the back which assists with fit and ensures optimal comfort at all times. 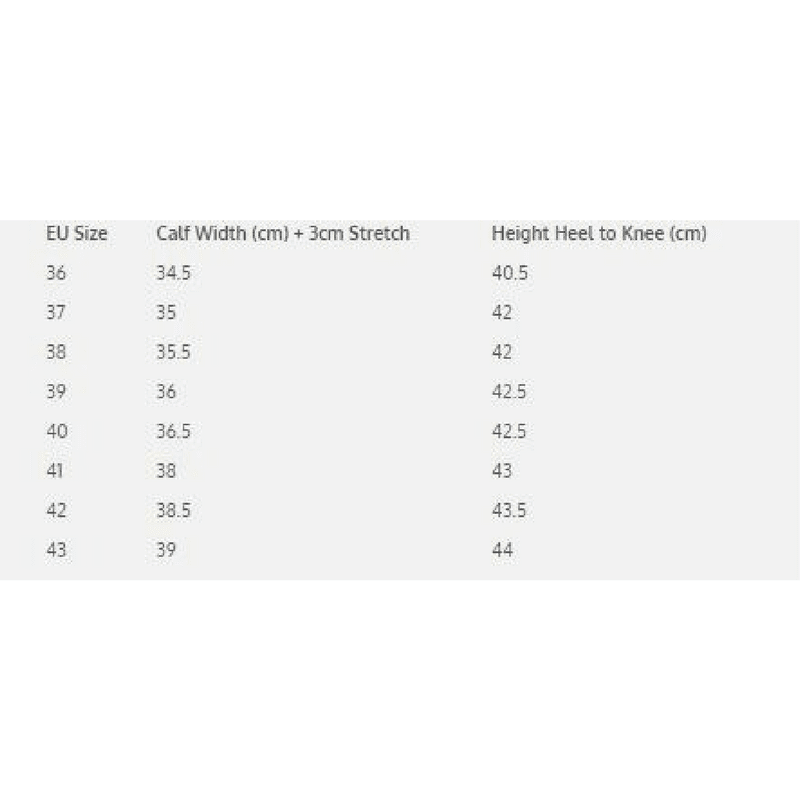 The stretch panel adds up to an additional 3cm to the overall width of the boot. 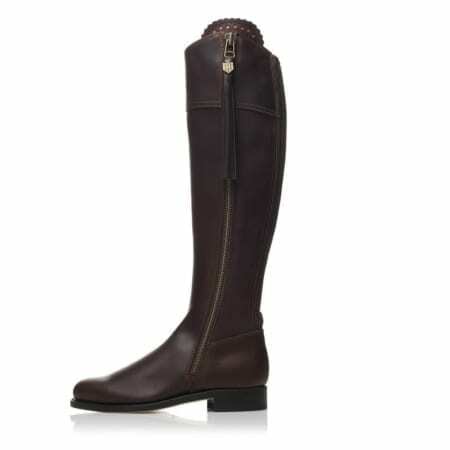 The Regina reaches elegantly up to the knee to provide a sleek silhouette. 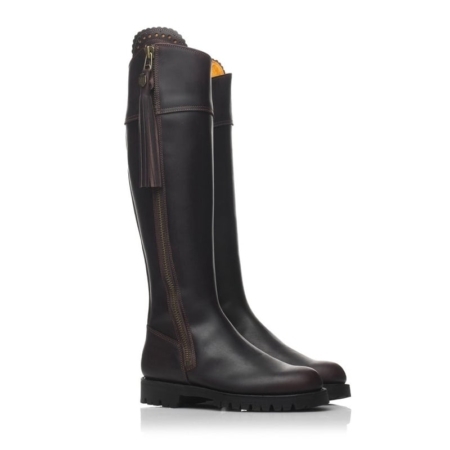 Featuring a feminine, tailored design, a textured, elasticated paneling and their signature interchangeable tassel and scalloped edging, these only compliment the luxe, handmade finish of the leather. This boot is a timeless and sophisticated staple to give an effortlessly chic everyday glamour, taking you with ease from the busy city life to a weekend in the country. 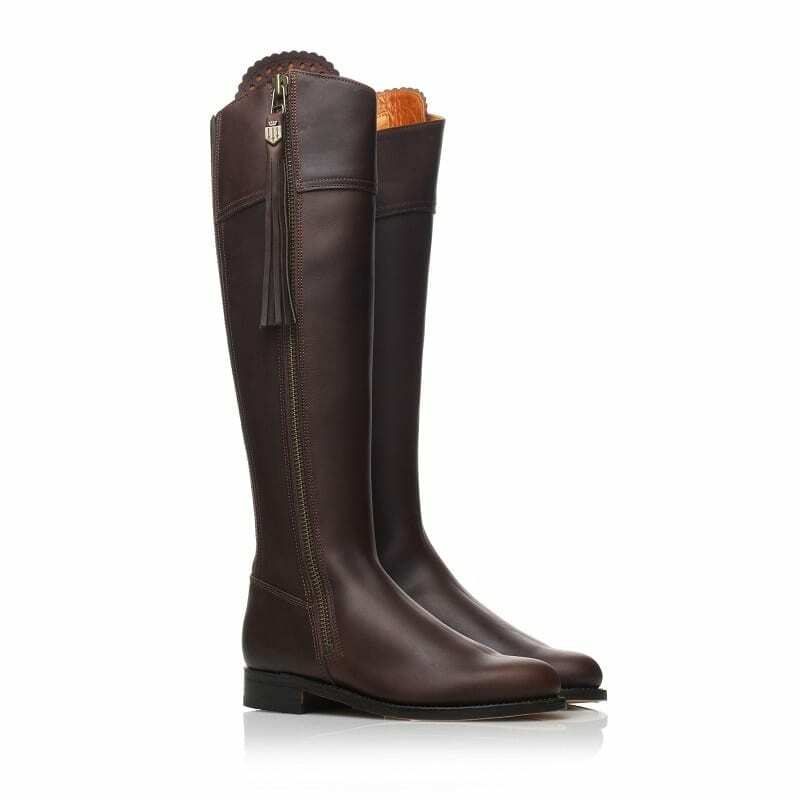 A season must-have that will last not only the season but will be a wardrobe favourite for many years to come, all year round. 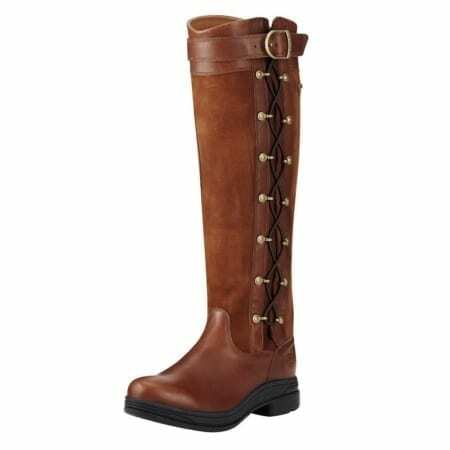 We have a great selection of Fairfax and Favor boots in store at Wadswick for you to try, definitely worth a visit. 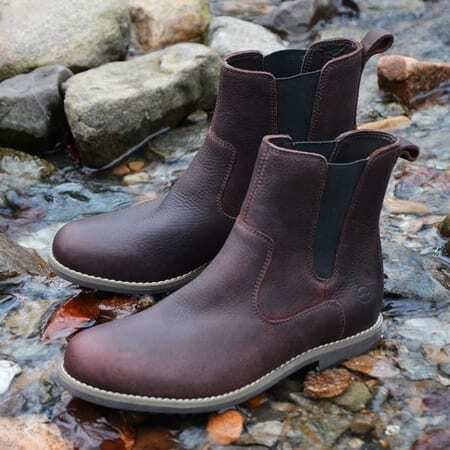 As well as the Ladies collection of tall Regina boots we have the short Chelsea boots and handbag range from Fairfax & Favor, not to mention a good choice of the men’s shoes so you can keep him happy with just one shopping trip!